Tinie Tempah bumped into Theo Walcott and leant him his glasses. 30. 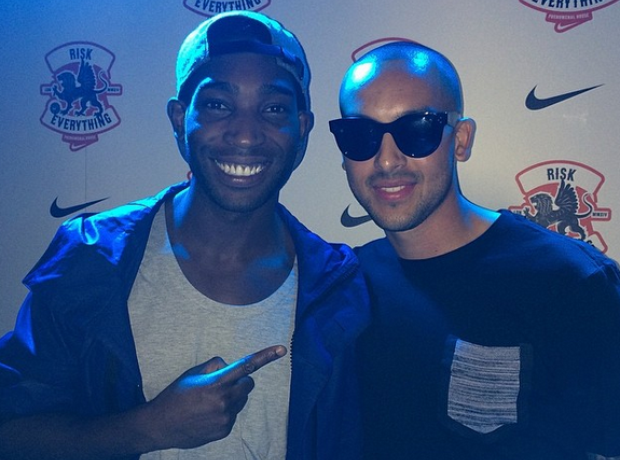 Tinie Tempah bumped into Theo Walcott and leant him his glasses.